In a match of few chances, with neither Brighton nor Liverpool willing to overcommit in attack, the visitors snatched all three points late in the day. After the best part of 20 minutes with almost nothing to show, the ball kept in midfield, bouncing from one pair of feet to another but not progressing far into either side of the pitch, Lucy Gillett got her gloves dirty. A spectator up until that point, the shot-stopper went low to her right to gather Kirsty Linnett’s deflected effort, the move on little consequence as the flag was fast lofted. The defensive press from Brighton was commendable, sharp to close down red shirts as they entered the final third, but the visitors too often made it easy for them. The movement predictable and understanding between the attacking players lacking. Yet to keep a clean sheet in either the league or Conti Cup, there was little to suggest Brighton or Liverpool would be giving their first ones up in a hurry, the first half wholly without incident for either side. 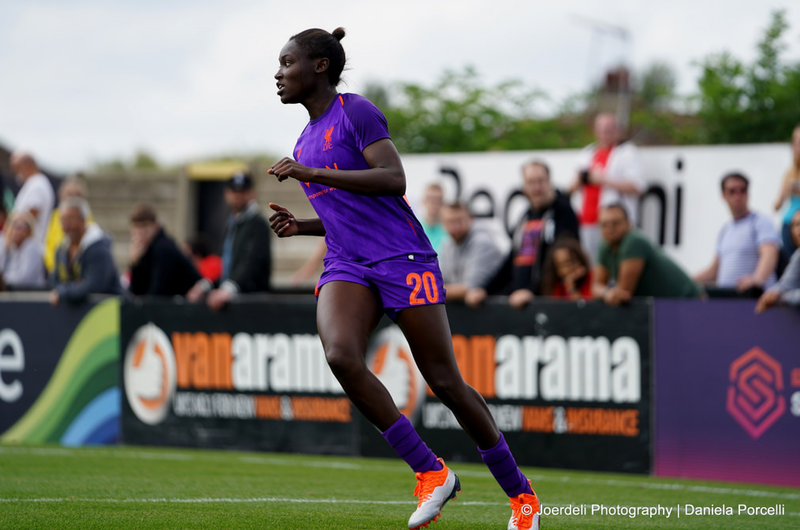 The second half saw a raise in tempo from Liverpool, the Seagulls still defensively resolute and their opposition searched for pockets to play in. The first real chance of the game didn’t come until after the hour when Kayleigh Green streaked into the box and got a weak shot off at Anke Preuß. Going to her bench, Vicky Jepson tried to inject more life into her side but still the match remained flat and uninspired. The tie rattled with nerves as neither side was willing to gamble too heavily for the win, a point better than nothing. With the match petering out into what looked to be a certain draw, Liverpool found a late breakthrough. After Courtney Sweetman-Kirk’s shot was blocked it found its way out to fellow substitute Rinsola Babajide who chanced her arm with a low shot from range, the ball just sneaking beyond Gillett. The goal scored seconds after Hope Powell had made her first substituting, bringing Sophie Perry on for Ellie Brazil in hopes of holding onto the draw and claiming Brighton’s first point of the season. The reaction was immediate from the coach after the concession, sending Ini Umotong on but it was all too little too late, the fractured nature of the game and reliance on defence leaving the Seagulls flat-footed.